USAID's new chief is stepping into a fierce struggle about the right role of humanitarian aid in foreign policy. But underlying this bureaucratic struggle is another, deeper question: What, exactly, is the purpose of foreign aid? And here is the irony: For years, liberals have been foreign aid’s most reliable champions. Yet now it is a liberal idea about foreign aid--and a liberal administration committed to implementing it--that could end up compromising the work of USAID. During Bush’s second term, as moderates gained the upper hand on foreign policy, this basic idea seemed to inform administration policies--especially the 2006 decision by then-Secretary of State Condoleezza Rice to fold USAID into the State Department. (The State Department had increased its oversight of the agency in 2001, but it was only in 2006 that USAID came completely under State Department control.) The Bush administration “came to see internal development issues and governance issues within states as critical from a national security perspective,” notes Matthew Waxman, a deputy director of policy planning under Rice. “I think once it made that move, then the next logical step in the procession was to see foreign assistance as a powerful foreign policy and national security tool, not just a humanitarian effort.” Previously, USAID had enjoyed a good deal of autonomy in matters of budget and policy; now, the State Department would closely oversee these functions. It made a certain amount of sense: If foreign aid was going to be a central strategic tool in our foreign policy, then shouldn’t the strategists at State have greater say in the process? The principles behind “smart power” also seemed to make inroads in the military. Testifying before the Senate Foreign Relations Committee in March 2008, retired Marine Corps General Anthony Zinni and Navy Admiral Leighton Smith both advocated budget increases for the civil sectors of U.S. foreign policy, saying, “We know that the ‘enemies’ in the world today are actually conditions--poverty, infectious disease, political turmoil and corruption, environmental and energy challenges.” Robert Gates, who succeeded Donald Rumsfeld at the Pentagon, made it known that he too was on board with this idea. At some level, all of this was a great thing for USAID, since it elevated the importance of aid within foreign policy. But there was a catch: Emphasizing aid’s strategic rationale also meant changing its very nature. Several months ago, I spoke to Brian Atwood, who ran USAID from 1993 to 1999 during the Clinton administration. USAID’s underlying philosophy, he pointed out, had traditionally hinged on a very long-term vision of American interests--a faith that alleviating poverty and other social ills would somehow ultimately benefit the United States. It wasn’t pure altruism, but, in practice, it was certainly closer to altruism than the vision of aid as a strategic tool put forth by “smart power” proponents. “You need an aid administrator who can think long term and work on preventing crises,” he told me--as opposed to simply responding to crises, a task that occupies much, if not most, of the secretary of state’s time. Clearly, the question of how to use foreign aid is not black and white. Foreign aid can and should go to support our short-term foreign policy objectives in places like Iraq and Afghanistan, as well as to more altruistic projects. The question isn’t whether to do one or the other; it’s which way to tip the balance. And some worry that the rise of “smart power” will tip the balance too far in one direction. “Poor countries with good governments--those are the kind of situations where outsiders can spend money and really help,” says David Beckmann, president of Bread for the World. The problem is that many of those countries aren’t particularly relevant to U.S. security. Then there is a nation like Pakistan, which is very relevant to the United States but illustrates the hazards of basing aid excessively on short-term interests. 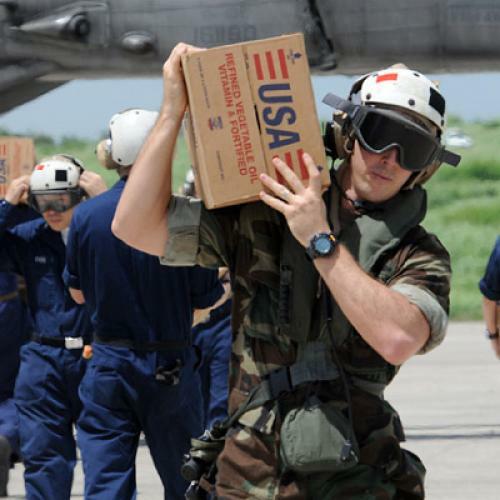 The country is currently enjoying a deluge of American aid--yet that hasn’t always been the case. Historically, notes Beckmann, “we’ve poured a lot of money in from time to time when it’s hot … but the pattern has been to put money in and then pull it out.” It’s certainly easy to imagine how a more sustained approach--that is, one less tied to our short-term interests at any given moment--might have yielded better results. Into this debate over the role of foreign aid--self-interest versus altruism? short-term versus long-term?--steps Shah. It’s impossible to know how the new USAID chief will act, although, as a young pick with no prior experience at the agency, he seems likely to defer to Clinton. One thing is for sure: He won’t have a lot of time to get his bearings. As soon as he’s confirmed, he will probably join the State Department’s Quadrennial Diplomacy and Development Review (QDDR), which will aim to provide a blueprint for coordinating diplomatic and development efforts. “Smart power,” of course, is a perfectly reasonable idea. But foreign aid is a zero-sum game. Elevating it into a central strategic instrument of our foreign policy means that something else--something noble and altruistic, something embedded in the historic mission of foreign aid--could soon be lost. Sheila Herrling of the Center for Global Development puts it succinctly: “Development,” she says, “is a goal, not a tool.” A longtime foreign aid observer relays that Clinton, aware of some of the simmering discontent at USAID, asked a group of aid experts before her confirmation what she could say or do to make the agency’s career civil servants excited again--to inspire them. She could start by making a difficult admission: that “smart power,” whatever its merits, comes with a genuine downside. Jesse Zwick is a reporter-researcher at The New Republic.